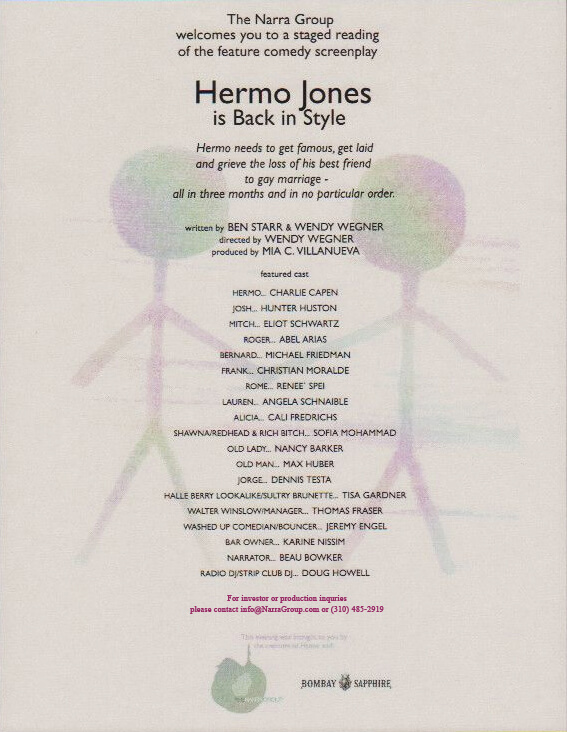 Actor Christian Moralde has recently joined the cast of HERMO JONES IS BACK IN STYLE. Performing at the famous Santa Monica Playhouse in Santa Monica, California, this one-night only staged reading marks Moralde’s return to comedic performance. Written by Wendy Wegner and Ben Starr, the screenplay centers around themes of love and undying friendship. This one-night only performance is slated for February 5, 2009.